Join the movement into the new era of contact center performance optimization. While operational efficiency will always be a priority for contact centers, more and more centers are aspiring to be strategic corporate assets by also prioritizing their contribution to top line revenues and delivering interactions with positive business outcomes. 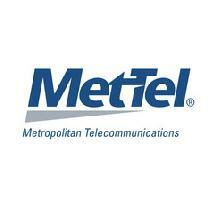 By leveraging the cloud, and having innovative infrastructure architectures and “Big Data” technologies, MetTel’s Cloud Contact Center provides real-time visibility, analytics and on-demand control of contact center operations across channels and sites.